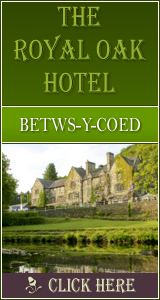 Penhyndeudraeth: Accommodation, Attractions, Activities, Going Out, Shopping, Things to Do, Places of Interest, Outdoors, Llanberis Holidays, Llanberis Area Location, North Wales. Penrhyndeudraeth is a village and community in Gwynedd located between Traeth Mawr, the now largely reclaimed estuary of the Afon Glaslyn, and Traeth Bach, the estuary of the Afon Dwyryd. The present village was laid out in the second half of the nineteenth century by the local landowner David Williams of Castell Deudraeth at Minffordd on land reclaimed by the drainage of stagnant marshes. The older settlement at Upper Penrhyn was originally called Cefn Coch (Red Ridge) and that name is perpetuated by the Penrhyndeudraeth primary school, which is also known as Ysgol Cefn Coch. The village is close to the mouth of the Afon Dwyryd on the A487 from Porthmadog. The vacation village of Portmeirion, best known as the filming location for the 1960s TV series, The Prisoner, is located within Penrhyndeudraeth. The village sits on the banks of the Afon Dwyryd estuary, and within minutes of several of the best beaches in Wales. Just 25 minutes from the highest peak of the Snowdon mountain range, visitors can take a railway up to the mountain peak, where you can appreciate the breathtaking views of Snowdonia National Park from the comfort of the caf�. Penrhyndeudraeth is home to the Snowdonia National Park Authority Headquarters. Penrhyndeudraeth is a thriving Welsh speaking village, where the language is used everyday.